Borealis, a leading provider of chemical and innovative plastics solutions, announces two major investment projects in its European manufacturing plants in Stenungsund, Sweden and Porvoo, Finland. The investments, with a combined expenditure in excess of EUR 45 million, will strengthen Borealis’ regional supply and support capabilities, in line with its Value Creation through Innovation strategy. 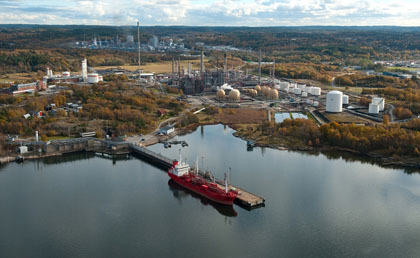 The first investment concerns a C4 project in Stenungsund which will upgrade the facility’s existing raffinate-1 and raffinate-2 streams to meet required product specifications for the delivery of n-butenes. The EUR 21 million investment is scheduled for completion by March 1, 2015, and is part of a broader commitment to support customers’ raw material demand for expanding production of olefin-based products. The project contracting process commenced in December 2012. 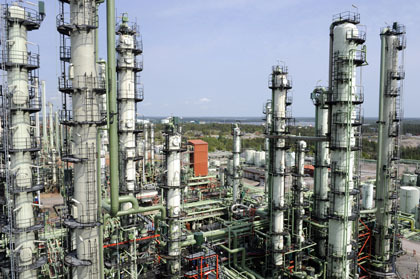 In Porvoo, plans have been approved for the replacement of a 30 year old hot oil heater unit at the Phenol complex. The installation of the new heater, scheduled for 2015 at a cost of EUR 25 million, is a key element in improving efficiency and site integration. The new unit will reduce maintenance requirements and CO2 emissions whilst securing safe, continuous, reliable and cost-competitive operations. “The Supervisory Board’s approval of these two investments underlines their support for Borealis’ strategy to have one of the youngest fleets in Europe and the role of these facilities in sustaining Borealis’ local and global commitment to create value for customers,” adds H.E. Khadem Al Qubaisi, Chairman of the Borealis Supervisory Board.